Maybe you have a sustainability strategy. You may even have strong leadership buy-in. Yet, you’re struggling to get your colleagues to change the way they approach their jobs so you can actually get stuff done and reach your goals. If you work in corporate social responsibility, this problem might sound familiar. It’s certainly the case for many of the companies I work with. One way to turn this situation around is to understand the behavioral dynamics at play. I recently wrote a Medium article (loosely based off our CSR/behavior change playbook) that explains why the concept of “social norms” might be just the unlock you’re looking for. If this is a challenge you’re facing, give it a read and let me know what you think. MOST CLICKED FROM LAST ISSUE // 2019 Future of Sustainability Report — The Futures Centre. Access more sustainability and social impact resources in our archive. Our jobs board is curated by Danielle L. Vermeer. Do you have an opening at your organization? Click here to submit a listing for consideration. how much do we love these posters celebrating women in STEM? Our social impact jobs board — “the exact types of jobs I'm looking for"
To address that last one, I’m excited to share a refreshed design for our bi-weekly newsletter. Same simplicity you told us you love, but spruced up a bit for navigation and style points. What do you think about our new look? Hit reply, I’d love to hear from you. Another thing we learned from the survey? A whopping 63% of you heard about us from a friend or colleague. If you get value out of this newsletter, please consider forwarding it or giving us some LinkedIn love. 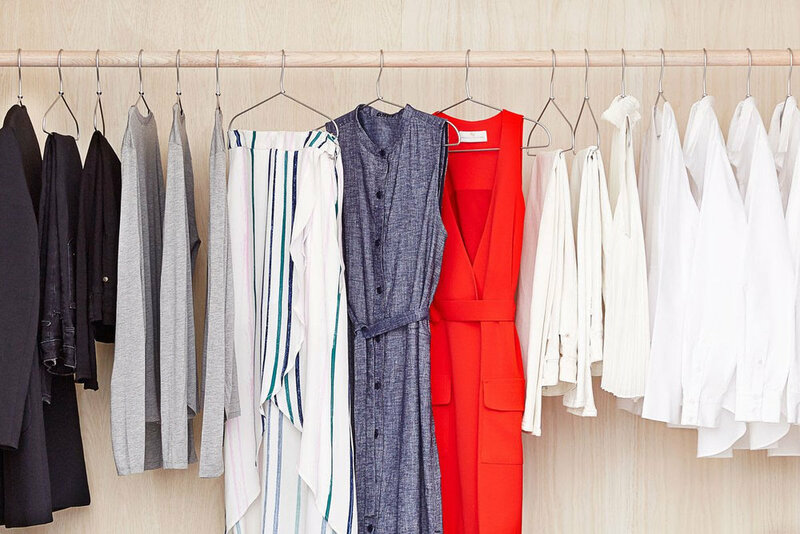 👉 For your next wedding — or just because — why not try renting an outfit instead of buying new clothes? This referral link will get you $30 off your first RTR order. MOST CLICKED FROM LAST ISSUE // How Fancy Water Bottles Became a 21st Century Status Symbol — The Atlantic. Read up on more trends in our archive. recent obsession: drone pics. reminds me what we're fighting for. I’ve spent the past few weeks hopscotching across California, meeting and exchanging ideas with many of you. What a journey! 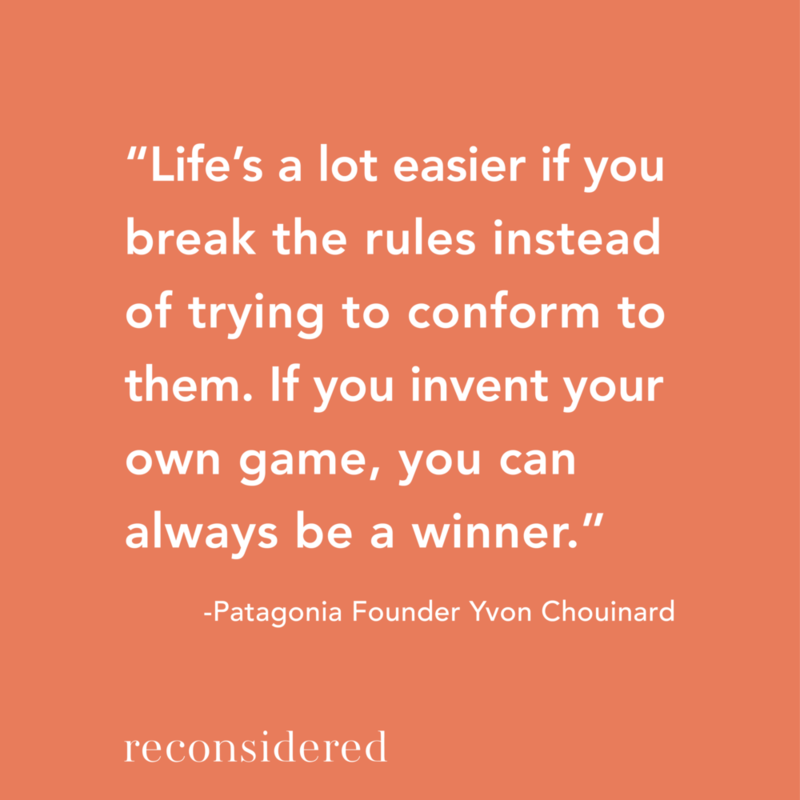 I’m feeling inspired, somewhat over-caffeinated and overall very, very grateful for the community we’re building through Reconsidered. 👉 Lizzie Russler is a student at University of North Carolina-Chapel Hill studying Contemporary European Studies and Sustainability. Her first foray into CSR came as a Sustainability, Social Impact and Diversity & Inclusion Intern at Sephora. 👉 Mélina Labrosse is a French Canadian living in Berlin. She is passionate about design and committed to incorporating sustainability and positive social change within her work. With the help of Lizzie, Mélina and jobs board curator Danielle, we’ll be rolling out some newsletter improvements in the coming weeks. Stay tuned — good things are coming. TRANSFORM: Climate, Communities & Capital is a new conference from the team behind SOCAP, SEED, Neighborhood Economics, TriplePundit and other networks that have come to define the way money and meaning can work together for good. It all happens May 22-24 in San Francisco. Reconsidered readers can register with this link to get 10% off the registration fee. Looking to promote a product, event or milestone? Send us a note to learn more about sponsorship opportunities. Our newsfeeds blew up on March 8th with all sorts of women’s empowerment messaging. All well and good, right? Why NOT celebrate women? The problem, as Fast Company points out, is that “brands tend to treat International Women’s Day as a festival for pandering with cheap Girl Power-isms. It’s as though Ivanka Trump’s books got their very own day.” I’m hopeful that these more critical views will push companies to make next year’s IWD an opportunity to make meaningful commitments that actually push women forward — like equal pay, access to leadership opportunities and more family-friendly benefits. 👉TAKE ACTION: What do you think about companies using IWD as a marketing moment? Great that businesses are engaging in the conversation — or shameful that companies are co-opting the movement without making substantive changes? Join the conversation on LinkedIn. Speaking of, more and more women are getting their businesses officially certified as “women-owned” — and it seems to be making a difference. Launched in 2014, the certification now covers ~15,000 companies and is facilitated by the Women’s Business Enterprise National Council. Though research is limited, some brands with the certification have reported increased customer loyalty. However barriers remain in other areas, like getting investment. On Monday, a new study was published demonstrating that air pollution is disproportionately caused by white Americans' consumption of goods and services, but disproportionately inhaled by black and Hispanic Americans. These results inevitably raise the question, “Are those who produce pollution, through their consumption of goods and services, fairly sharing in the costs?” It also creates the opportunity to more meaningfully address consumption-related pollution drivers like urban development and automobile transport. “If you can understand why so many people would spend 50 bucks on a water bottle, you can understand a lot about America in 2019,” posits this Atlantic article on the rise of S’well, Yeti, Sigg, Hydro Flask and their pricy reusable hydration vessel competitors. Their success points to sustainability as a status symbol — to sometimes complicated effect. A fascinating read. Now here’s an example of a company using its platform to start a substantive conversation around women’s equality. In this eight-minute short, Pixar tackles toxic work cultures with humor and empathy. When Purl, a feminine ball of bright pink yarn, starts a new job at the investment firm B.R.O. (😉😉) she is ridiculed and excluded for her differences. She responds in a way that will feel familiar to many women — but then comes a plot twist that will make you feel as warm and fuzzy as the protagonist. MOST CLICKED FROM LAST ISSUE // 2069 — Medium. Check out our archive for more tips and tools. First, a huge thank you to everyone who’s been along for the ride. I know your inbox is sacred space, and I am grateful that you have allowed us in. I also wanted to take this occasion to get your thoughts. What are you digging? What do you want to see more of? Your honest feedback will help us make the newsletter more valuable for you. Again, thank you for being part of the Reconsidered community. We wouldn’t be entering our terrible twos without you. On March 8, New York University’s Law, Policy and Business Schools are hosting their annual Social Innovation Symposium in New York City. This year's theme, Striving for the Circular Economy, explores an alternative way of looking at relationships between markets, consumers, and natural resources. Experts from an array of backgrounds will come together to inspire a new generation of change-makers, including Keynote Speaker Tom Szaky, CEO of TerraCycle, as well as panelists from Ellen MacArthur Foundation, Cisco, Eileen Fisher, Morgan Stanley, Bloomberg, Toast Ale and more. In the new Netflix show Tidying Up with Marie Kondo, the Japanese cleaning guru helps people find joy through her trademark KonMari method. During the few episodes I watched, I couldn’t help but consider the sustainability implications of the stuff, the disposal and the journey to a more edited lifestyle. I wasn’t alone. This exchange between Grist staffers Eve Andrews and Annelise McGough addresses some of the social and environmental themes of the show, like why people own so much in the first place and the privilege inherent in the KonMari movement. 👉 TAKE ACTION: Ready to KonMari your way to a more minimal and sustainable lifestyle? Get started with Kondo’s book, The Life-Changing Magic of Tidying Up (bonus points if you borrow from the library instead of purchasing your own version). Just before Davos, Bill Gates tweeted an infographic claiming that poverty has gone down dramatically over the past 200 years. Though compelling, the University of London’s Jason Hickel calls “wishful thinking”. Not only does Hickel call out the ambiguity of pre-1980s data, the debate over the $1.90 poverty line and the outsized role of China, but he also questions whether the shift from a subsistence to a capitalist society is necessarily better for the global population. His Guardian op-ed sparked a fascinating back-and-forth between author Steven Pinker (whose data was called out) and Hickel about the role of neoliberal capitalism in reducing (or exacerbating) global poverty. It highlights the evolving conversation around capitalism as a driver of progress — and underscores the danger of convenient statistics. Despite Amazon’s staggering growth, the company did not pay federal taxes for 2018 — and yes, that was completely legal. How is it possible that a company valued at roughly $800 billion with $11.2 billion in 2018 profits does not have to pay taxes? This Vox piece points to the Trump administration’s corporate tax cuts paired with several tax loopholes. But that hasn’t stopped news outlets from publishing searing headlines and the public from protesting. The outcry points to a bigger theme — that corporate taxation is increasingly becoming a hot public interest area for both companies and governments. Watch this space. Last summer, the Pacific island nation of Vanuatu banned single-use plastic bags, plastic straws and styrofoam food containers in an effort to preserve their local environment and combat ocean plastic. Now, lawmakers are considering expanding the ban to include disposables like diapers, plastic cutlery and grocery packaging. Though Pacific island nations contribute less than 1% to global ocean plastic volume, Vanuatu hopes to set an example for other countries by proving that bold solutions like single-use plastic bans can work. In doing so, they are proving the power of islands as living laboratories for sustainability policy and innovation. What will the world look like in 2069? The latest issue of Medium’s online magazine attempts to predict how the world will change by my 83rd birthday. Several pieces touch on social and environmental topics, from e-waste to the future of wine to why Los Angeles is ground zero for climate change 😬. In my work to communicate the necessity of social responsibility to companies, I’m constantly trying to paint a picture of what will happen in the future if we don’t take action now. This is a powerful resource for developing that kind of futurist mindset. MOST CLICKED FROM LAST ISSUE // No online shopping company can figure out how to quit this one plastic bag — Vox. More fascinating content in our archives. California, I’m coming for you! For most of March, I will be up and down the coast leading workshops and meeting with organizations that are committed to social and environmental change. If you’re interested in having me lead one of RC’s CSR strategy and behavior change workshops for your organization — or if you’d just like say hi — give me a shout! I have a few chunks of time open in San Francisco and Los Angeles. 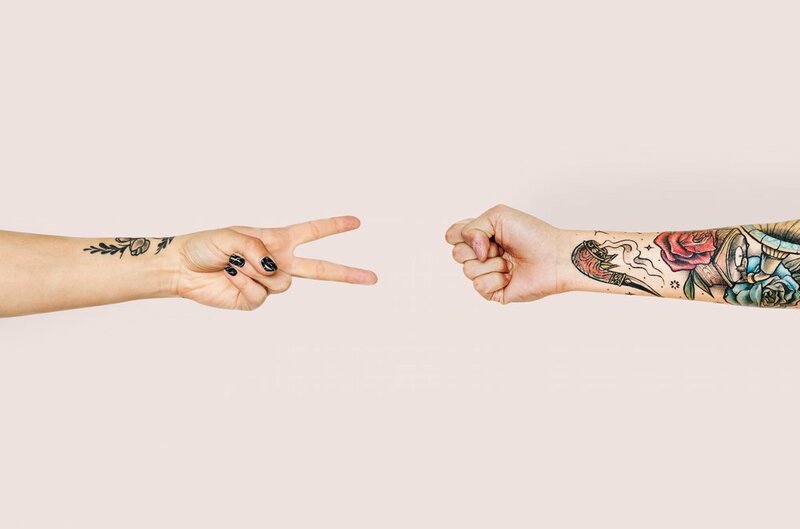 RECONSIDERED ON MEDIUM // Heyo, we're on Medium now! 🤗 Follow the Reconsidered Medium publication for long-form articles like How Behavioral Science Can Supercharge Your Corporate Social Responsibility Efforts and 3 Life Hacks That Improve My Life, Save Me Money & Are Way Better For The Environment. And if you're on Medium and writing about corporate social responsibility, sustainability and social impact, send us a link to your stuff. We're eager to use our platform to share bold ideas, new insights and thought-provoking perspectives with the world. Yesterday, U.S. Representative Alexandria Ocasio-Cortez and Senator Ed Markey released an outline of the “Green New Deal”, a progressive set of policy proposals that would take urgent action to eliminate U.S. carbon emissions, bolster the middle class and reorient the American economy. The framework is admittedly ambitious. 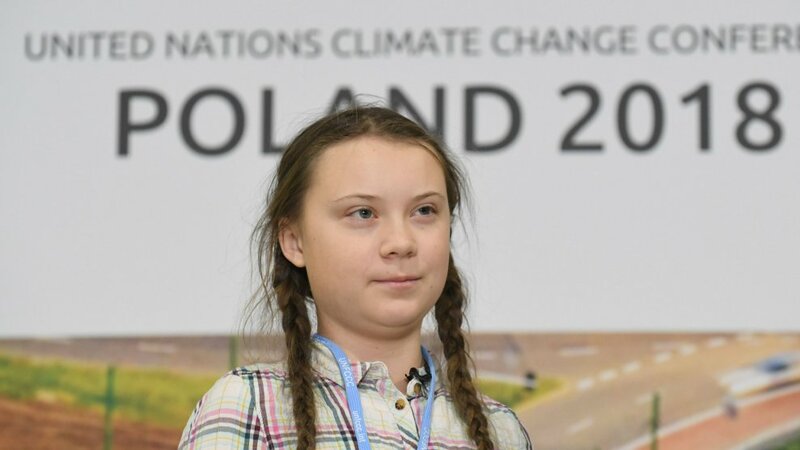 But then, “Even the solutions that we have considered big and bold are nowhere near the scale of the actual problem that climate change presents to us,” says AOC. 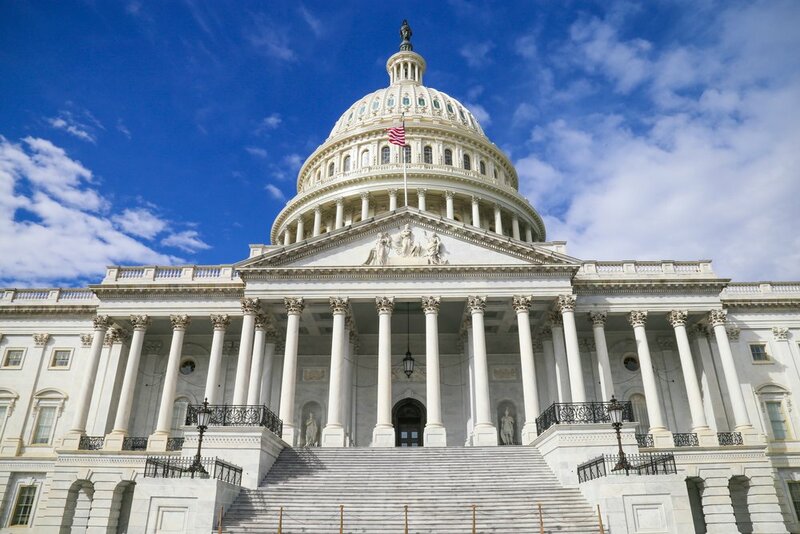 The proposal, which includes clean energy investments, agricultural reform and universal healthcare, has generated a lot of buzz in Washington —and nearly ensures that environmental issues will (finally) be a major talking point in the 2020 elections. Watch this space. Sometimes, you have to take a step back in order to take a step forward. That’s the idea behind Loop — a new zero-waste packaging initiative launched by Terracycle and a coalition of consumer goods companies including Procter & Gamble, Unilever, Nestlé, PepsiCo, and Danone. Loop essentially brings back the “milkman model” of reusable packaging, which faded after single-use plastics were introduced to consumers in the 1960s. If successful, it will offer about 300 iconic products — think Tide detergent and Häagen-Dazs ice cream — in reusable packaging that can be picked up by a delivery service, cleaned, refilled and shipped out again. This article dives into how this unlikely partnership came about and what obstacles need to be tackled in order for it to become a reality. Speaking of packaging, what the heck is up with those flimsy plastic bags that come with pretty much everything you order online? Alden Wicker explores why e-commerce companies and retailers are so reliant on “polybags” — low-density, polyethylene, #4 virgin plastic film bags that accompany everything from clothing to meal kit ingredients to little electronic components. She also shares how companies like Patagonia, Mara Hoffman, Seed and For Days are exploring alternative materials and business models to design this wastefulness out of existence. MOST CLICKED FROM LAST ISSUE // World’s Biggest Investor Tells C.E.O.s Purpose Is the ‘Animating Force’ for Profits — The New York Times. More goodness in our archives. This week, all eyes are on Davos — the picturesque Swiss ski town that hosts the biggest names in government, business and society each January for the World Economic Forum’s annual meeting. Davos is not uncomplicated. On the one hand, it provides a forum for world leaders to come together and explore big ideas. It’s a platform for launching bold sustainable business initiatives like The B Team and Y Analytics (Bono’s new impact investing measurement project announced this year). Just 10 years ago, an integrated CSR program was seen as a “nice-to-have” by companies. Now, it’s table stakes for the Fortune 500. I don’t think that would have happened if not for the way Davos and gatherings like it have elevated and pushed forward the conversation on business’s role in society. At the same time, those leading the purpose backlash have likened it to “a family reunion… for the people who broke the modern world”. The Guardian chalked it up to a bunch of “elites without action”. Several outlets called out the hypocrisy of world leaders flying in on private jets to discuss solutions to climate change (while WEF rushed to assure us that private jet use is actually down 14% from 2018 🤦‍♀️). So yes, Davos is complicated. What do you make of it all — is it a useful platform for change or does it hurt more than it helps? I’d love to hear what you think. P.S. HOT JOB ALERT! 🔥Reconsidered is seeking a paid intern to join our remote team. The ideal candidate is a strong English language communicator, has experience with email and social media marketing and is endlessly curious about the changing role of business in society. Know someone who fits the bill? Here’s the link to learn more and apply. Just in time for Davos, BlackRock’s Larry Fink is back with his annual message for CEOs. In short: the world needs your leadership, and getting clear on your company’s purpose is a good first step to get there. His 2019 letter echoes the sentiments in his pivotal 2018 letter, which introduced his views on purpose and is widely seen as a turning point for the way mainstream business views corporate social responsibility. In what’s being called the world’s first climate change bankruptcy, PG&E, California’s largest electric utility, recently filed for bankruptcy citing damage from the wildfires that have ravaged the state in recent years. This article breaks down why this development will change the way companies assess climate risk. Many still treat climate change as a difficult-to-pinpoint long-term risk, while the reality is that companies are feeling real business impacts NOW. Not gonna lie, that Gillette “The Best Men Can Be” spot got me a little teary at the end. But before we all go celebrating the Procter & Gamble razor brand for bravely tackling toxic masculinity — or alternately, get so offended you try to flush your Gillette down the toilet — Public’s Phillip Haid suggests taking a beat and asking, okay, so what are they doing about it? How is Gillette going to not just raise awareness of the issue, but also make substantive progress? Without a clear plan of action beyond philanthropic donations, Gillette is just latching on to what Haid calls a “worrying trend of brands appropriating social purpose for compelling advertising creative”. Organizations are quickly realizing the power of behavioral insights to drive more impactful social change. Over the past year, several UN agencies have embraced the science of behavior change to make progress on the Sustainable Development Goals. This “year in review” highlights a few of the applications, from a simple exercise that helps motivate rural Kenyans to save money for emergencies to a nudging program to increase immunizations in the Middle East. 👉 If you’re new to the world of behavior change, we recently published a playbook with relevant insights for people working in corporate social responsibility. Download it here. I’ve been on a lot of long-haul flights lately, which has given me the chance to catch up on A LOT of downloadable Netflix movies. One of the better ones is Okja, directed by Korean visionary Joon-Ho Bong and starring Tilda Swinton and Jake Gyllenhaal. The fantastical film centers around a (“Green! All-natural! Eco-friendly!”) scheme to breed genetically modified pigs using “sustainable” animal raising techniques from countries like South Korea, where most of the film is set. Only, it’s all a grotesque form of spin. A satirical commentary on corporate responsibility, greed and consumerism that has stuck with me for weeks. MOST CLICKED FROM LAST ISSUE // Beyond The Bottom Line: Should Business Put Purpose Before Profit? — Financial Times. Explore how the conversation on business and purpose has evolved in our archives. The case for sustainable business is strong in a place like Guam, a U.S. territory with a centuries-old colonial legacy located smack in the middle of the Pacific. It means nurturing the island’s ability to truly sustain itself — independently, without relying on foreign imports, tourism (the #1 industry) or the U.S. military (the #2 industry). On an island just 32 miles long and between 4 and 9 miles wide, it’s impossible to ignore nature’s constraints. During the workshop, which was hosted by the University of Guam Center for Island Sustainability and School of Business and Public Administration, we walked through the steps of creating a sustainability strategy and designed a series of pilot projects. Packaging for a line of natural beauty products? Bring together a coalition to co-invest in manufacturing equipment that can transform the bamboo clogging up our waterways. Equipping people to turn waste into want? How about a training program with the local girls empowerment organization, funded by private companies? I left Guam feeling inspired and energized — and reminded of how many ideas can spark when you build bridges between work and home. How did 2019 start off for you? P.S. One of my new year’s resolutions is changing my relationship with technology. Just in time, my friend Barbara and “crowdacting” platform CollAction are launching a campaign called Screen Free Sundays. The premise is simple: Every last Sunday of the month, opt to go screen-free, put down your phones and reconnect with the world around you. I’ve just signed onto the campaign, maybe you want to join? MOST CLICKED FROM LAST ISSUE // The Science of What Makes People Care — Stanford Social Innovation Review. ICYMI, our last issue featured our picks for the top 10 articles of 2018. 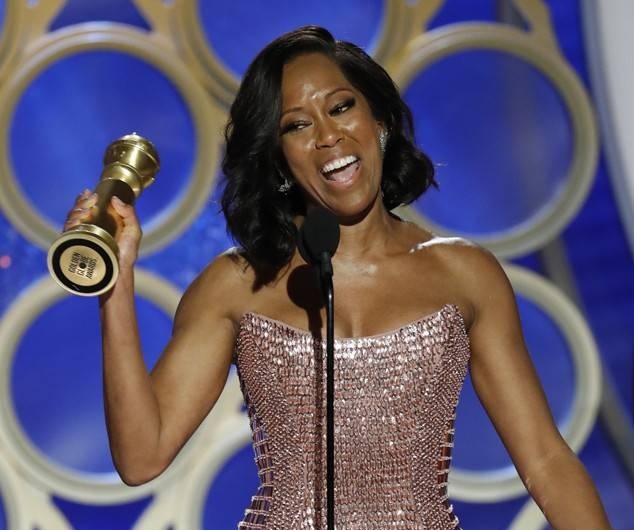 THE HIGH NOTE // 50% — the percentage of women that will be part of actress and director Regina King’s future production projects, per her 💪💪💪 acceptance speech at the 2019 Golden Globes. What a year for socially responsible business. ✊Brands embraced their power as activists. 📈Investors confirmed the business case for sustainability. ️☀️A particularly hot summer made climate change impossible to dismiss. 🥤The plastics crisis hit the mainstream. 📵Silicon Valley came under increased scrutiny post-Cambridge Analytica (yes, that was this year). 👩 The #MeToo movement reverberated across the business world. 🎬“Inclusion riders” became a thing. 👚So did clothing rental. And the list goes on. To cap off 2018, we’ve pulled together 10 of our favorite reads from the past year — the articles that made us think, made us fear, made us laugh, made us hope and made us reconsider the role of business in this rapidly changing world of ours. What news item most sparked your interest this year? Hit reply to let us know. Wishing you an energizing start to 2019! P.S. Have you downloaded our ( 💯free!) playbook on how behavior change insights can supercharge your CSR efforts? Have a look here. 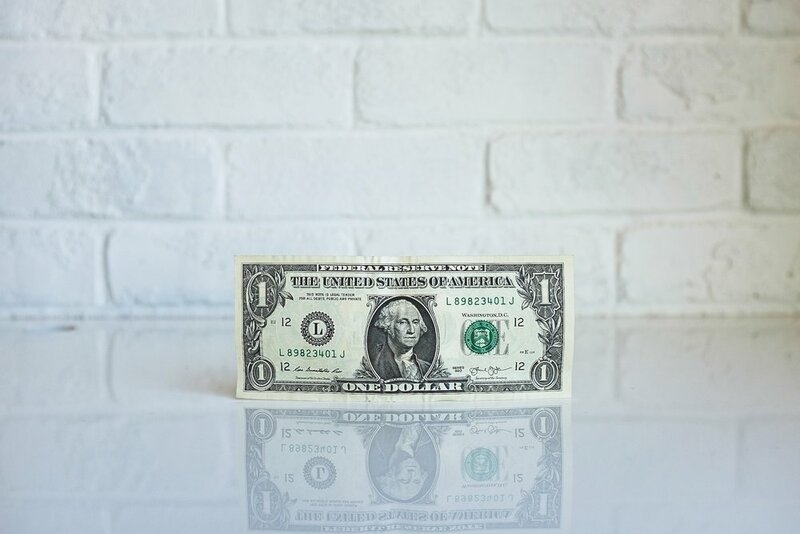 In what’s being called a watershed moment for corporate social responsibility, BlackRock CEO Larry Fink stressed in his annual letter that a company must "not only deliver financial performance, but also show how it makes a positive contribution to society". The letter marks the first time that a major institutional investment firm has made such a strong statement in support of CSR. Not only that, but Fink intends to hold companies accountable by adding staff to monitor businesses' response. Read Fink's full letter here. In this sweeping argument for busting up big tech, thought-provoking questions (“If ice cream were making teens more prone to suicide, would we shrug and seat the CEO of Dreyer’s next to the president?”) combine with hard numbers (Google commands a 92% share of Search, a market worth $92.4 billion) to paint a disturbing picture of unchecked power and wealth concentration. This is a must-read for anyone wondering how we got here, and what we can still do about it. The article is a historical account of the critical decade between 1979 and 1989 when — per author Nathaniel Rich — we could have acted on climate change, but didn’t. In both print and digital, this account is juxtaposed with powerful imagery of climate change’s modern day impacts. Heavy… but important (though not without its critics). When you’re done reading, don’t despair — do something. Plastics are everywhere — in the soil, in the water, even in our 💩 (yes, it’s true and it’s very disturbing). But change is coming. In this op-ed, Dame Ellen MacArthur introduces a new collaborative initiative to address plastic waste and pollution at its source. To date it has over 250 global signatories, including brands, retailers, NGOs and governments. The initiative comes on the heels of a recent EU ban on single-use plastics like plastic straws, disposable plates and cutlery. It’s pretty awesome to see meaningful action on this complex problem — let’s just hope the implementation is swift. Clothing rental is seen as one of the best circular economy ways to keep clothes in use for as long as possible. But will it become mainstream? It’s easy to see how the concept appeals to fashionistas who want to stay ahead of the latest trends, but early adopters also include people who hate to shop and just want one less thing to worry about (um, hi). As climate change causes storms to increase in intensity, coastal cities are being forced to protect their shores. New York City is pioneering a brilliant solution: living breakwaters made from leftover oyster shells, which protect harbors while also filtering water and contributing to a healthier ecosystem. The shells are sourced from local restaurants, then populated with new oysters hatched by students in a public high school’s aquaculture program — a unique model that brings together non-profits, businesses, schools and local government. MOST CLICKED FROM LAST ISSUE // The Strange Phenomenon of L.O.L. Surprise Dolls — The Atlantic. Find more surprising content in our archives. An abbreviated list of 10 great opportunities to match our 10 top links of 2018. The full curation will return next issue. THE HIGH NOTE // 7 — The number of scientists joining the next U.S. Congress, which convenes at the start of 2019. This was a big week for us! After months of research and writing, we published Making Change Sustainable — a new playbook exploring how insights from the world of behavioral science can supercharge the way companies embed social responsibility into their business. You can download the free resource here. 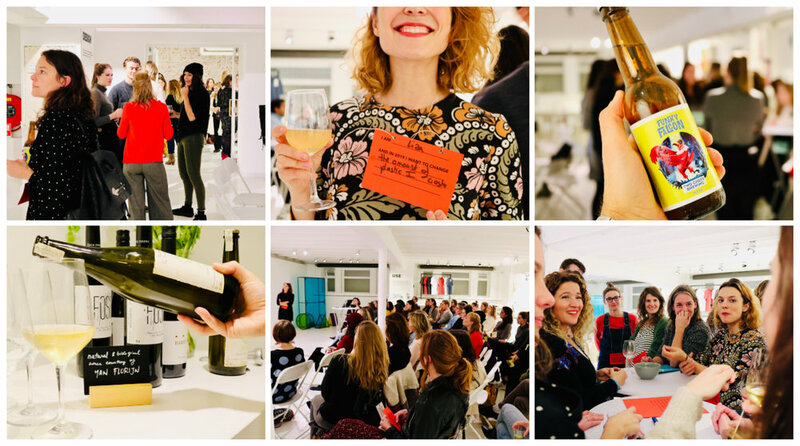 We celebrated the launch with an interactive “workshop-meets-cocktail party” held at the Fashion for Good Experience in Amsterdam. I was blown away by the warmth, intelligence and creativity of the group that came together. Pics below. If you’ve downloaded the playbook, I’m eager to hear your thoughts. Did any chapters feel particularly relevant? Are there other change insights you would add? Hit reply and let me know what you think. Speaking of holiday gift-giving, this Atlantic piece dives into one of the biggest children’s toys trends of 2018. L.O.L. Surprise! Dolls were created specifically for a YouTube generation raised on “unboxing videos”. Basically, after tearing away seven layers of packaging, you wind up with a cheap toy that’s bound to be in landfill by New Year’s. Ridiculous? Yes. Wasteful? You betcha. This article explores the sociological and psychological reason kids are losing their s*** over them. This past week was COP24, the annual UN climate conference hosted in Katowice, Poland. Though government action has been shameful (ahem, U.S. and Australia) business stepped up in a big way, with a major investor statement and fashion industry pledge among the notable commitments. Hidden among the press releases was this gem on an interactive role-playing game showcased at COP24 that simulates how current climate action will impact the world in the future. "The whole point is to use narrative storytelling and imagination to make the human and economic cost of these events more concrete,” said the creators, which include researchers from Glasgow Caledonian University, Utrecht University and Purdue University. “People have emotional reactions to what is apparently real – not to what actually is real. Games give us a platform to create just such an apparent reality." The “femtech” market is estimated to be worth $50 billion by 2025, and fertility and period-tracking apps are among the fastest-growing segments. This article argues that most apps on the market aren’t actually built for women, but rather for the men, marketers and medical companies that see a business opportunity in women's health. From inaccurate algorithms to stereotypically gendered design (SO MUCH PINK) to a deep insensitivity to real challenges like miscarriage and abortion, this fascinating piece goes deep. Daniel Kahneman is a Nobel Prize-winning psychologist and behavioral economist whose research on judgement and decision-making forms the bedrock of modern behavioral science. This conversation with Hidden Brain’s Shankar Vedantam is wide-ranging, but the part I found most fascinating comes around minute 23:50, when the two start to discuss the behavioral response to climate change. “If you were to design a problem that the mind is not equipped to deal with, climate change would fit the bill,” Kahneman said. The two discuss this phenomenon — as well as some possible solutions, which we quoted in our new playbook. MOST CLICKED FROM LAST ISSUE // The State of the Sustainability Profession 2018 — GreenBiz. Our archive is the best place on the Internet to get lost this holiday season. The role of the sustainable business professional is changing, according to the latest GreenBiz State of the Sustainability Profession Report (see 5 Links below). Sure, the core skills of data analysis, impact measurement, project management and deep subject matter expertise are still needed. But now, teams are also being called on to educate, empower and equip people across the business to own the sustainability agenda. They need to spark culture change, create internal movements and build consensus among people who don’t usually agree with each other. They need to persuade, nudge and influence people to change the very way they approach their jobs. This shift requires a whole new toolkit of skills. We still need to make a rational business case for social responsibility — but we also need to layer on a clear understanding of what drives people and organizations to change. Over the past several months, I’ve dug deep into the literature of behavior change science and spoken with leading behavioral researchers and social responsibility practitioners. The result is a new playbook that shares a few of the insights I think are most fascinating and relevant to people working in social responsibility. It’s called “Making Change Sustainable: Using Behavior Science to Embed Social Responsibility Into Your Business” and I’m excited to share it with you in the coming weeks. If the topic sparks your interest, enter your information here and I’ll send you the playbook right when it comes out. I’m also hosting a small in-person meet-up next week in Amsterdam to celebrate the launch. You can learn more and register here — and if you know anyone who’d be interested, feel free to share! 👉🏽 UPDATE: We have sold out of meet-up seats, but if you're interested in attending please join the waitlist. We hope to be opening up some spots early next week. P.S. I’m still taking part in Grist’s 21-Day Apathy Detox — now on Day 9! It’s been educational and eye-opening to explore different ways of engaging with social and environmental issues. Check RC’s Facebook page for some of my recent dispatches. P.P.S. My friend Kestrel Jenkins hosts the Conscious Chatter podcast (see RC’s episode here) and is one of the most consciously stylish people I know. She just launched LEFT EDIT, a new line of sustainable, made-in-USA essentials that are just so lovely and feminine (especially that Eve dress 😍). Check out the collection on Kickstarter. 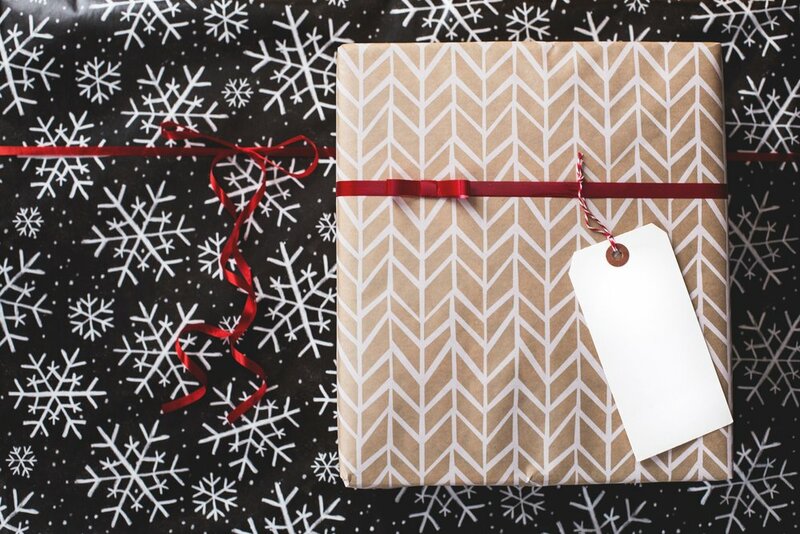 ‘Tis the season for #BlackFriday, #CyberMonday and TONS of online shopping. But before you default to that next-day or same-day delivery option, have a listen to this podcast from The Daily. It takes a look into a rapid fulfillment warehouse in Memphis, Tennessee, that is filled with the types of horrific human rights abuses you’re used to hearing about in developing countries. It is one of the most tragic, frustrating and powerful stories I’ve heard all year. Speaking of Black Friday, the U.S. federal government chose that day (🙄) to release a massive climate report compiled by 13 federal agencies. It warned that if we don’t take drastic action on climate change, the U.S. economy could lose hundreds of billions of dollars — up to 10% of its total GDP. This handy round-up outlines 15 of the biggest takeaways, including business impacts like declining crop production, loss of seafood stocks and lost working hours due to extreme temperatures. 👉 TAKE ACTION: We need to engage with our elected representatives, but also with our business leaders. 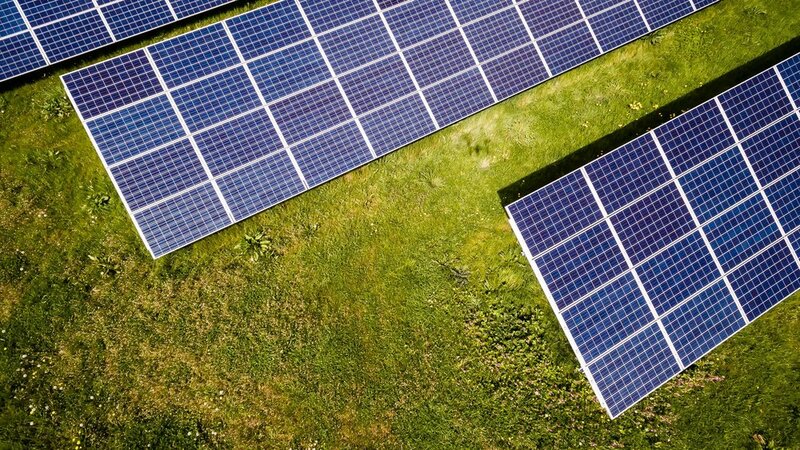 Climate Nexus's Jeff Nesbit offers three ways businesses can tackle climate change — if you work in a company, ask leadership how they’re moving forward on these issues. Oh, Victoria’s Secret. This month, its annual fashion show riled up spectators for being… exactly the way it’s been since 1995. Meaning, instead of adapting to an evolving culture that values diversity, inclusion and feminism, it continues to perpetuate outdated gender stereotypes and beauty norms. It doesn’t help that when questioned, the CMO for L Brands (which owns Victoria’s Secret) said the company would never include trans and plus-sized models in the show because it “is a fantasy.” 🤮 The backlash was swift and fierce, including an open letter and full-page ad in The New York Times penned by the female CEO of ThirdLove, a new direct-to-consumer lingerie brand, that was as progressive and empowering as L Brands’ comments were archaic and insulting. 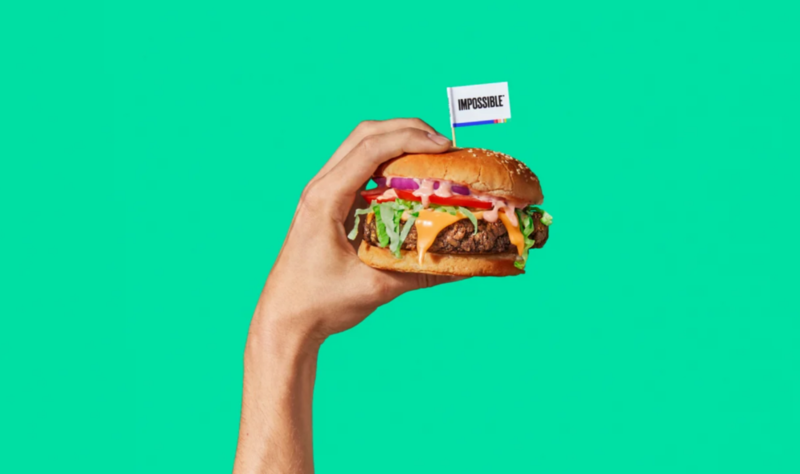 To me, this situation illustrates the danger of standing still when it comes to social issues — and shows that when older brands stumble there are plenty of smaller, more purposeful companies ready to take their place. When you think of the gig economy worker, you don’t typically think of the “influencer” — that person on your Instagram feed whose perfectly curated life of avocado toast and fancy hotel rooms never fails to inspire envy and FOMO. But many influencers face the same challenges, like financial instability, lack of healthcare and heavy upfront costs. This piece is a fascinating perspective on the changing face of organized labor, which increasingly includes contractors, freelancers and white collar workers. MOST CLICKED FROM LAST ISSUE // Ask Umbra’s 21-Day Apathy Detox — Grist. Follow us on Facebook where I’m posting regular updates from my own detox. THE HIGH NOTE // 02:03:49 — the half-marathon time of Justin Gallegos, a college runner who was recently chosen to be Nike’s first pro athlete with cerebral palsy. The video where Justin learns he’s made the cut will make you 😭😭😭 .